This summer, Belle and I have been on a mission to explore the colorful walls of NYC. We recently headed down to the Lower East Side to checkout the new(ish) Kelsey Montague floral wings mural - and spotted this colorful wall right next to it and couldn't resist. Head to toe, my bargainista look cost less than $50 OOP (I'm on a roll!) and as always I'm happy to break it down. I'm also so excited to announce an amazing Tory Burch, Apple, and Kate Spade giveaway for you - scroll down for more deets! *Just wanted to mention that Larone Artisans will be launching their site on August 20th - use code LEHOARDER for 30% off their beautiful handmade bags. Belle was super cute and casual in her tee and vintage skirt so I had to shoot her too. The problem with these wings is the location. Cars can park right in front - and it was garbage day so we had to move mounds of garbage out of the way. Plus thanks to my 40m lens, I had to stand in the middle of traffic to try to get the full wall. Several times we ran for our lives trying to get the shot. FYI, we popped by post-sample sale in the afternoon. If you're gonna go, try for very early morning so there is less traffic and possibly better natural light. If you're just getting started blogging (or you like to edit your own pictures) find a blogger BFF who is willing to stand in traffic with you to get the perfect shot. Thanks Belle! Last but not least, it's giveaway time! 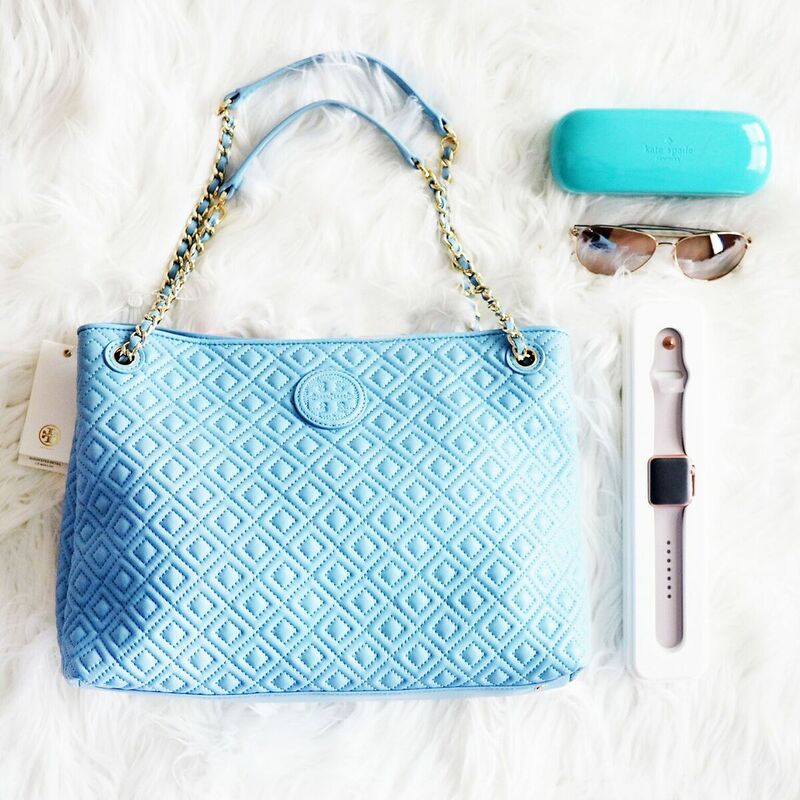 I've teamed up with a group of amazing bloggers for you to win a Tory Burch bag, Apple Watch, and Kate Spade Sunglasses! Head to the Rafflecopter gadget below to enter! I love the looks and the giveaway is awesome! You two are the cutest! Sad that when I went to the wings, the lighting was so weird and I couldn't get as wide a shot. How is it that I haven't seen you all summer? And I warned you - those wings are hard to shoot! Love ❤️ this fun summer look . The caftan has a Boho Chic vibe , nice styling! You girls look too cute with that colorful wall! Your colorful caftan is so cute with all the tassels and your bag is perfect with it. That is a really nice giveaway and whomever that won will be very happy. What a great look! Perfect to still rocking the season. You have a great sense of style and creativity when creating your outfits. I also adore great deals just what you found here! That caftan is totally chic with nice bohemian vibes and paired with that pretty bag looks even better. Haha it's totally the story of my life when it comes to taking photos in the middle of traffic and sometimes I'm taking pictures of my partner and he's not even a blogger!! You ladies look amazing and I'm loving the colourful wall series! You'll have to visit Bondi Beach when you're in Sydney because there are tonnes of murals there! Wow I love all the vibrant colors in your photos! I love the clutch that you're holding and it's so nice to take photos out on a day like this! Thanks! I'm always hunting for color in my clothing and backgrounds. The perfect day can just make everything pop! I know the feeling! I need a wider lens SO bad! Most of the time I'm shooting with my team but sometimes my husband or friend has to use my camera for a specific deadline and it can be such a challenge! The goal is always that no one is hit by a car! lol These walls are so fun! We don't have many where I live and hope I can have some spare time during FW to check some out! This one is so pretty! Totally loving your Larone Artisans bag too! Your friends skirt it super adorable and fun for summer! Hope you're having a great week! For sure - I'm thinking a 20mm is my next purchase. And thank you! Fab styling on a budget!! I'm always so blown away by what you manage to put together for the money! You're so lucky to have Belle to stand in the middle of traffic for you - ha, ha. 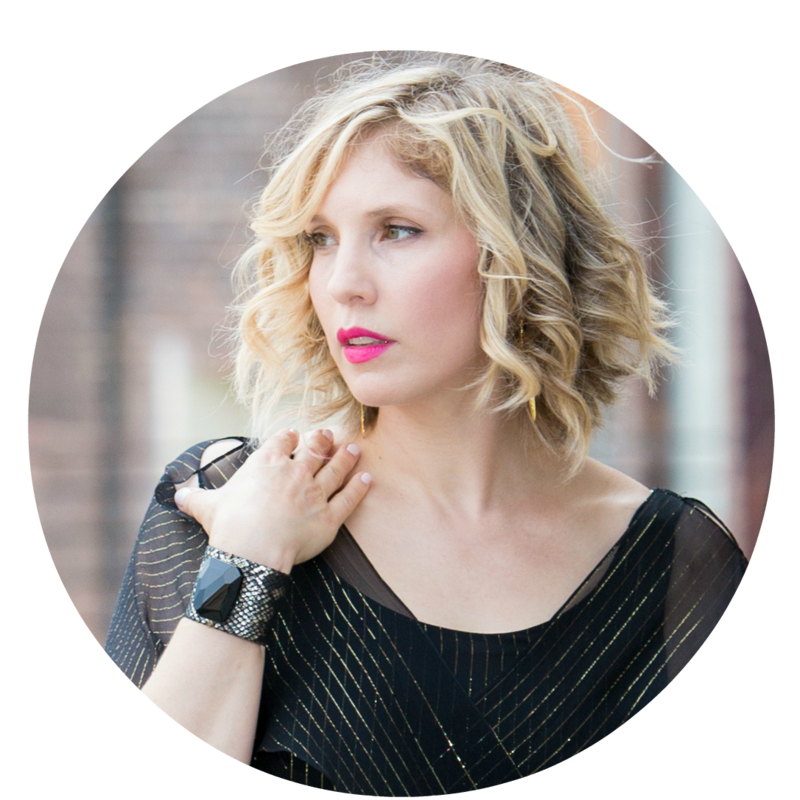 I just make my husband do all my photos on the weekend... but great idea to find another blogger to shoot. Thanks for yet another killer outfit!! You're seriously the queen of great finds! I can't believe you got those Jimmy Choo sandals for so cheap! Even on Ebay, they're never that price. Not to mention that Eddie Borgo bag too! Eeep! Makes me want to move to New York so we can go shopping together. Lol. My husband stands in the middle of the street all the time, but we're usually pretty good in picking spots that don't have a lot of traffic. Also, I loveeee Belle's skirt! So pretty! Thanks! It was a lucky find. The bracelet is Eddie Borgo but the bag is Larone Artisans. Sometimes you just can't avoid traffic in NYC thou. Come visit anytime! I wish, I had a BFF who can take pictures with me all the time when I am out, but moving to different cities,makes completed to find friends who has a same taste or ideas ;) Are you going to NYFW? Yep - I'm local so it's no biggie for me! If you're coming let's meet up :) And you have your husband to shoot so you always have someone LOL. Hahaha I can totally relate to blogger friends that will take endless photos of you until you get the right shot. They got our backs because they know the struggles! And wow those Jimmy Choos are such a great deal! you definitely got super lucky there. Also what a great giveaway!! Love the colour of the tory burch bag, would die for this!! I feel bad but sometimes I need over 100 to get the shot - just trying different angles and locations can be so tedious. Lucky for me Belle is amazing! Hahahaha if it's out there I would find it. At least you're in Texas now - lots of walls there! Sounds like so much fun! There are so many cool wall murals in LA and some weekends my sister and I explore them. I would love to do the same in NY! It is a bummer that this mural is is in front of where cars can park. Blogger babes are the best! So nice to have a friend who will get in the middle of the street to get "the shot." I need to get to the LA walls - I see so many on Insta! Such amazing outfits, girls! And these colorful walls are just wonderful! Absolutely adore your Larone Artisans bag! Handmade bags are my all-time favorite! Nice and colourful outfit, you look amazing! And what a great idea to explore the colourful walls of NY! I have to do the same in my city. And you really have a talent to buy great pieces with less money! This is such a great idea! I've always loved colourful walls with a lot of graffitis on them. And you found the perfect spots for that! I love every single shot and your style is definitely matching all the locations! I wish I could visit NY someday and find those lovely walls!